Congratulations to Lauren & Jason! 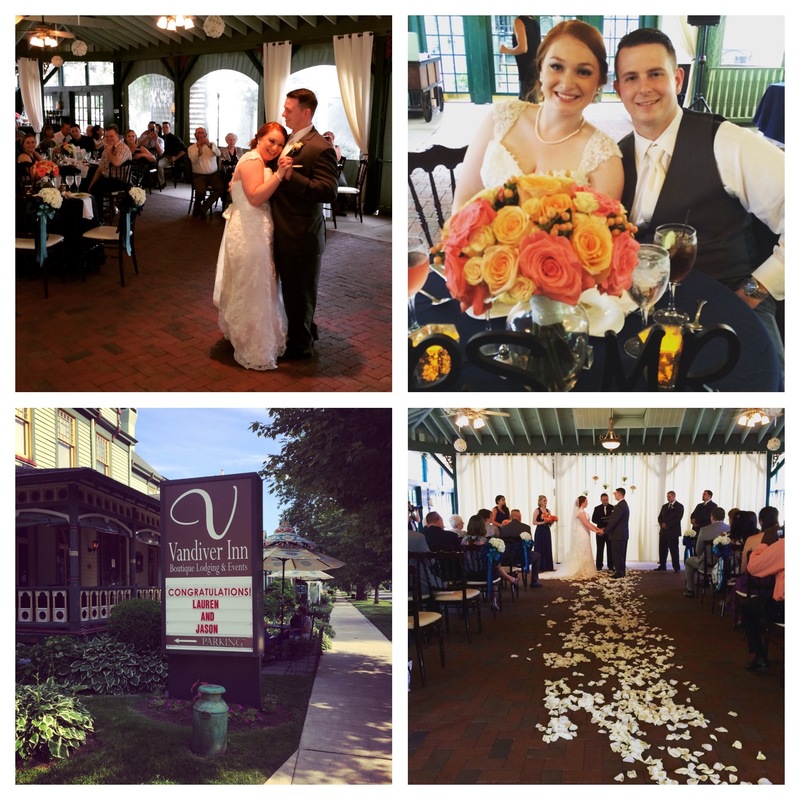 They became Mr. & Mrs. Cox last night at The Vandiver Inn located in Havre de Grace, MD. Ceremony + cocktails + party = FUN at The Vandiver! My co-workers last night included Leah Rhianne Photography, Desserts by Rita, Amanda’s Florist and the Vandiver’s hard working and friendly staff. We kicked off the reception with a grand introduction of the newlyweds and their bridal party right into “Mean To Me” by Brett Eldredge for their first dance. Music requests included songs by Huey Lewis & The News, Chris Brown, Elvis Presley and The Sugar Hill Gang. It was a smaller group with about 80 guests and I’m fairly sure all of them were on the dance floor for the majority of the night. We wrapped up a great Friday night reception with guests singing along to Journey’s “Don’t Stop Believing” as they made there way out the door and up the road to MacGregor’s Restaurant for the after party. Lauren & Jason, thank you so much for trusting me with such an important part of your big day.